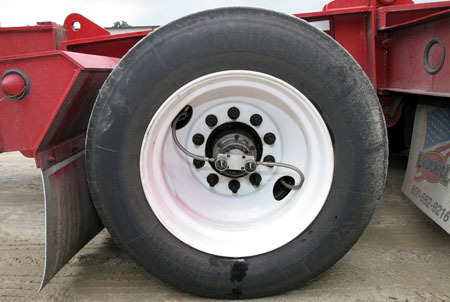 The T-RAC system is a closed loop system that features a unique vent to prevent seal leakage back into the hubcap. T-RAC system features a proprietary seal design by one of the industries leading seal suppliers. The T-RAC system is quite possibly the smartest tire inflation system available on the market. It adds air when the tire needs it and it lets air out when the tire doesn’t need it automatically. Now that’s smart!The T-RAC system is a closed loop system that features a unique vent to prevent seal leakage back into the hubcap. T-RAC system features a proprietary seal design by one of the industries leading seal suppliers. The T-RAC system is quite possibly the smartest tire inflation system available on the market. It adds air when the tire needs it and it lets air out when the tire doesn’t need it automatically. Now that’s smart!